I found this cute vintage case at the thrift store for $1.50. 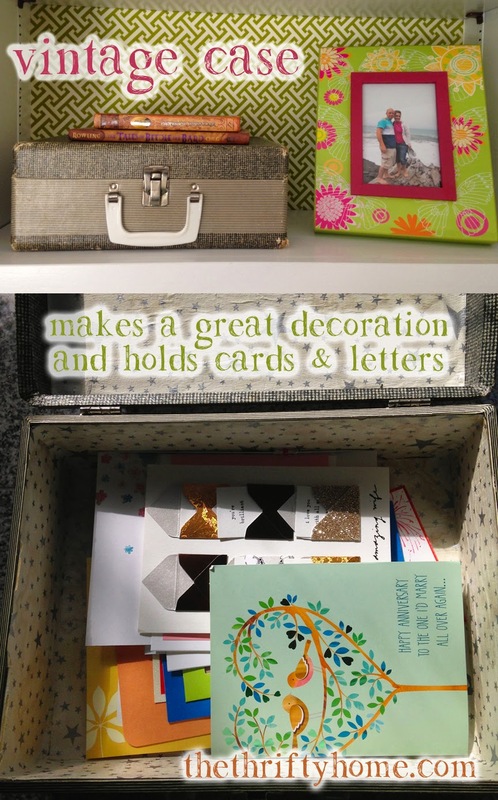 It is the perfect place to keep cards and letters and it looks great sitting out on my bookcase. thanks for hosting! happy fall. Great little suitcase. Just the right size and lots of age. Thanks for your 256th Penny Pinching Party.